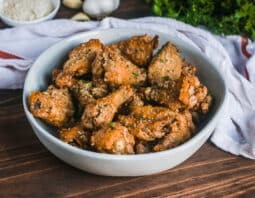 Garlic Parmesan Chicken Wings are nice and crispy with the perfect amount of zesty cheesy garlicky sauce to satisfy your chicken wing cravings. Go ahead, lick your fingers. 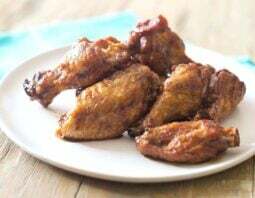 If you thought the only way to achieve perfectly crispy chicken wings was by frying them, I’m happy to tell you that our editors at The Cookful have found an alternative! Using some easy science, the secret ingredient is baking powder. 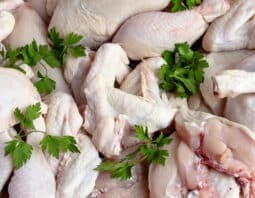 Yes, this leavening agent that’s normally used in baked goods can also be used to crisp your chicken wings. 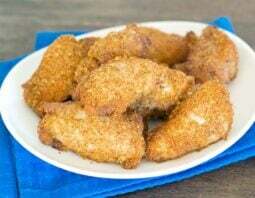 When you toss the wings in a combination of baking powder and salt, it helps break down the peptide bonds that help crisp the skin in the oven. 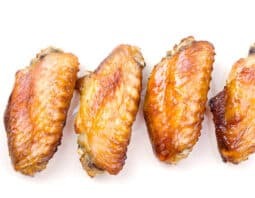 Baking the wings at a low temperature to start also encourages the fat around the skin and chicken to melt to help dry out the wings. 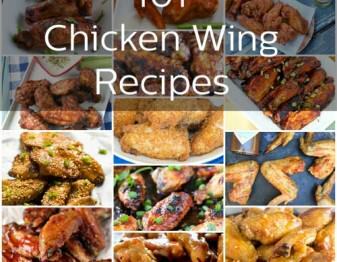 Once the heat is turned up, the dry skin combined with the baking powder create a perfectly crisp chicken wing. 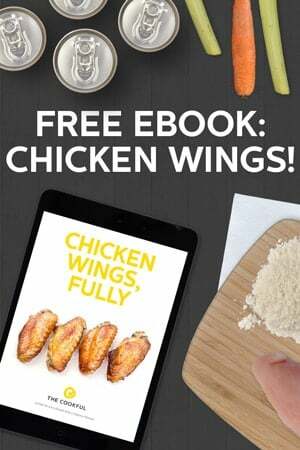 You can read all about how to do this in this helpful guide: How to Make Crispy Oven-Baked Chicken Wings. The only thing better than a perfectly crisp chicken wing is one that is crispy and well sauced. This is where my garlic Parmesan sauce comes into play. 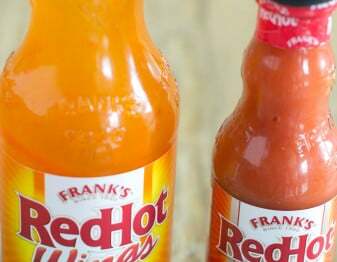 It’s a cross between a dry rub and sauce that helps give the skin some flavor without leaving your wings soggy. Using fresh garlic cloves is key to this sauce. 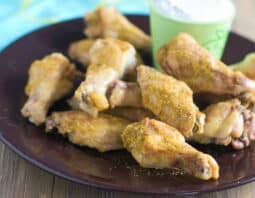 The bite and spice from the garlic cloves infuse into the butter while the wings are cooking. This gives a depth to the sauce that’s perfectly balanced by the nutty parmesan. 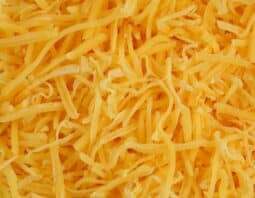 Speaking of Parmesan, use grated parmesan as it melts into the sauce so there aren’t any clumps that you may get from shredded parmesan. Now what are we waiting for? Let’s get these wings ready! 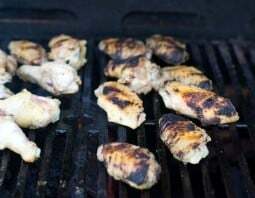 Tip: If you don’t have garlic on hand, garlic powder can be used as an alternative. You’ll need about 1/4 tsp. to give a similar flavor. 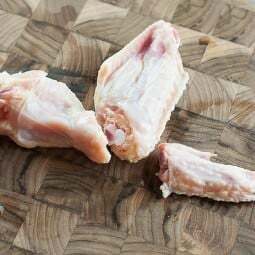 Prepare the chicken wings as described in this helpful How to Make Crispy Oven-Baked Chicken Wings guide. While the chicken wings are baking, prepare the sauce in a small saucepan over medium-low heat. Place the butter in the pot and let melt slowly. Add in the parmesan, salt, pepper and paprika and mix until incorporated. Lower the heat to low until ready to use. 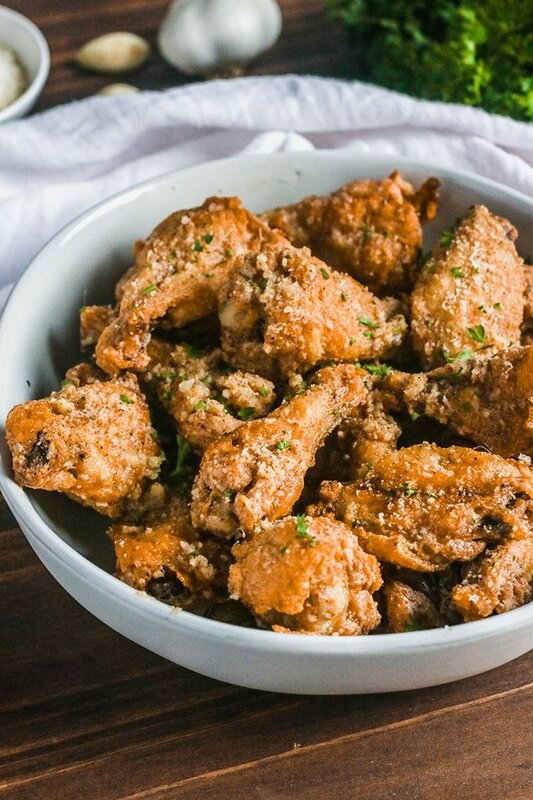 Place the wings in a large bowl and drizzle sauce over wings. 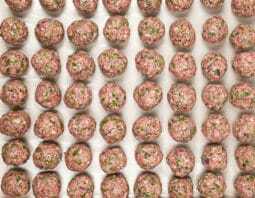 Toss, place in a serving dish, top with parsley and serve warm.